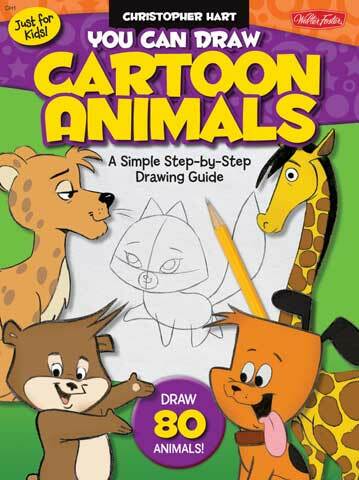 This personality-packed drawing book shows young artists how to bring cartoon animals to life using simple step-by-step instructions, and includes helpful tips to make drawing easy for young artists of all skill levels. From playful puppies to zany zoo animals, this book is crammed with an exciting variety of subjects to draw. Kids will also find helpful tips along the way for creating their own collection of cute critters.